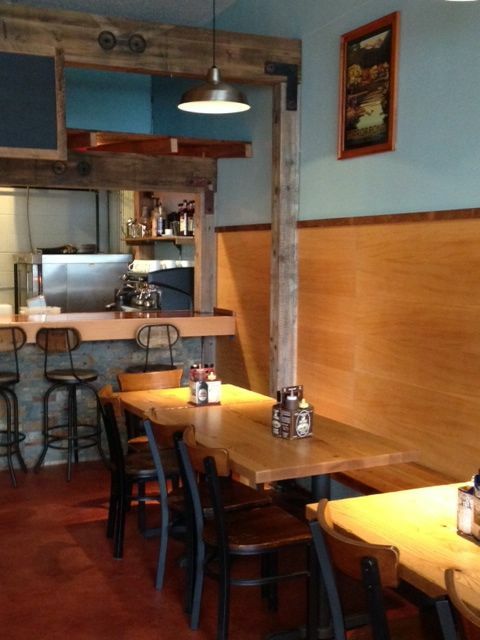 I am pretty sure it was a reader that told me about Pine Shed Ribs & Barbecue months ago. I liked the idea because it was somewhat close to me. My family loves BBQ, so that made it an easy sell for lunch. We showed up on beautiful October day. 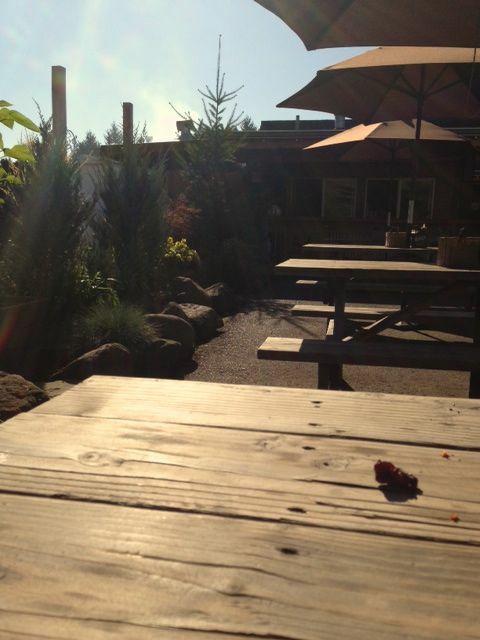 The outdoor seating was covered with sunshine. Not just any sunshine, it was the fall air, with that slight haze. This is about the time of year I realize summer is gone and I need to settle into fall, so I embrace it and enjoy it by finding outdoor dining to take in the last of the perfect weather. This is such a cute place. You go into this little room and place your order. You now go into this great dining area and order and they bring the food to you. Unless of course it’s warm enough, then you take a seat outside until your food is ready. Don’t worry, if the weather is bad they also offer indoor seating right around the corner. As we sat there waiting for our food we watched multiple cars pull up getting their smoked goodness to go. We figured with so many locals grabbing this, we must have found a gem. We wanted to get a good taste of what they had, so we ordered the Sample platter, which is 5 meats. The pictures doesn’t do it justice. There was so much meat on this plate. It had a sausage, brisket, 2 kinds of ribs, chicken, cornbread and we chose the coleslaw as our side. I know this sounds like a lot, and it’s because it IS a lot. As she set the plate down I was in awe with how much food there was. It was plenty for sharing, which is what we fully intended to do. Out of all the meats we tried our absolute favorite was the brisket. That’s not to say we didn’t like the rest. We just know exactly what we will order the next time we go. 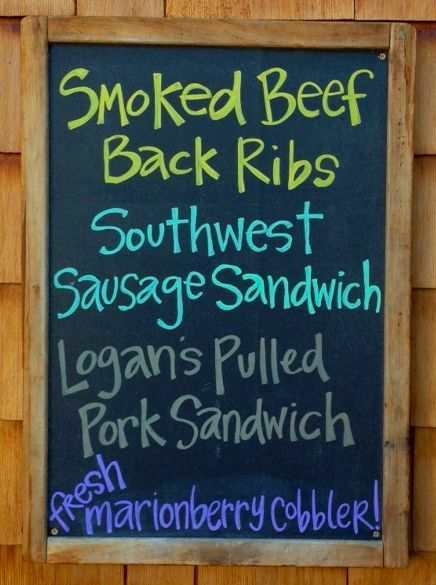 Although I did see they also have smoked pastrami on the menu, so I will have to try that to make sure it’s the brisket I want. 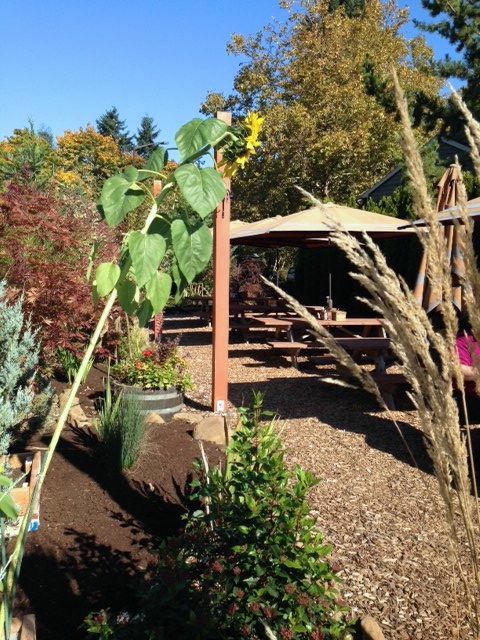 I know we are nearing the end of enjoying outdoor seating, but if you can make it over on a beautiful day and enjoy their “patio” before the season is over, you won’t regret it. They are working on remolding their indoor space, which is called the Piglet, and it sounds like it will be a great addition. They will serve coffee and breakfast baked goods in the morning starting at 6am and then afternoon & evening will be for beer and BBQ. Plus there is always the option to do what so many others were doing and that is grabbing it to go. We grabbed a Pulled Pork sandwich for my son. I forgot to take pictures of the sandwich, but it was loaded with meat…LOADED. The bun, which is from Grand Central baking, couldn’t hold all the meat. For his side we chose mac n cheese because that’s a favorite of his. 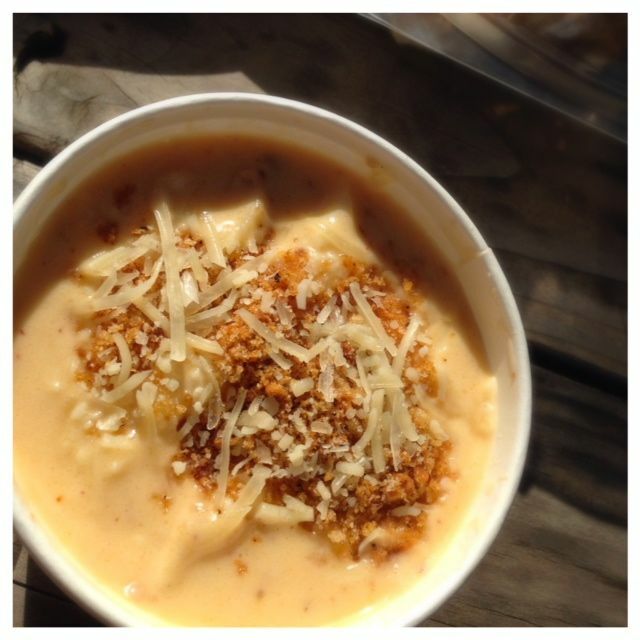 He liked it all, and was really impressed with the great flavor of the mac n cheese. I agree, we tried it all and we enjoyed it. Great meal for take out. Update: I went back recently and was able to snap a few pics of the new indoor space, the Piglet, which they just finished. Starting the 3rd week of December they are hoping to have their latte machine up and running. 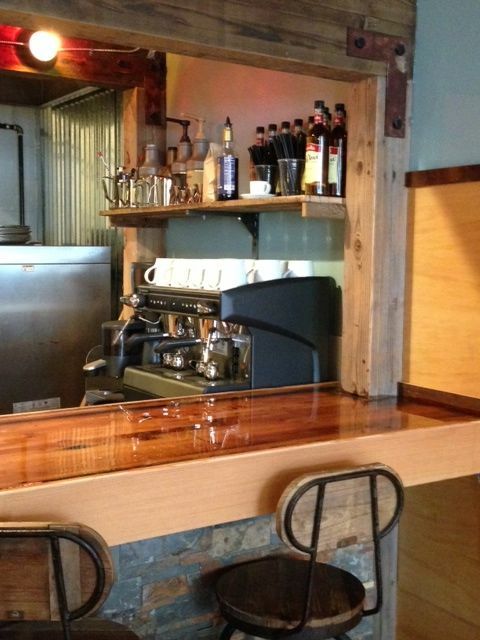 They will have morning pastries and coffee to get your day started. 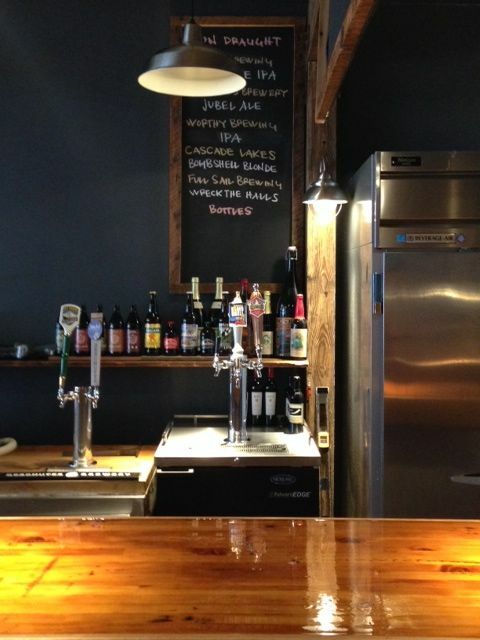 They also will have 5 beers on tap and lots of bottle beer to choose from as well. For you wine drinkers out there, they also have a few wines to choose from too. There is plenty of seating in their newly renovated space. Atmosphere is very casual and kick back. If you want to forget you are sitting on the edge of parking lot, just go back into the hidden dinning area behind a few bushes and trees. Here you will feel hidden. Update: Also enjoy the great indoor dining area with pellet stove. Pricing was about $10-$15 depending on what sandwich or plate you order and this includes a side. They also have meat by the pound and lots of side dishes. They offer different drinks there including some beer. Once the Piglet is done (which is soon) they will have beer on tap and coffee in the mornings. 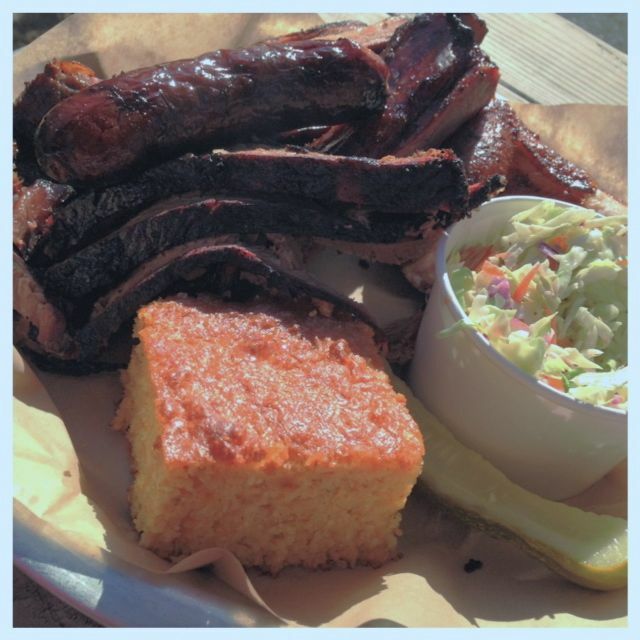 Pine Shed Ribs & Barbecue is located in Lake Oswego. I think I told you about this place. One of the best spots to enjoy great BBQ outside. I was pretty sure you said you had been here. I wold love to try the almond smoked chicken, it sounds awesome! 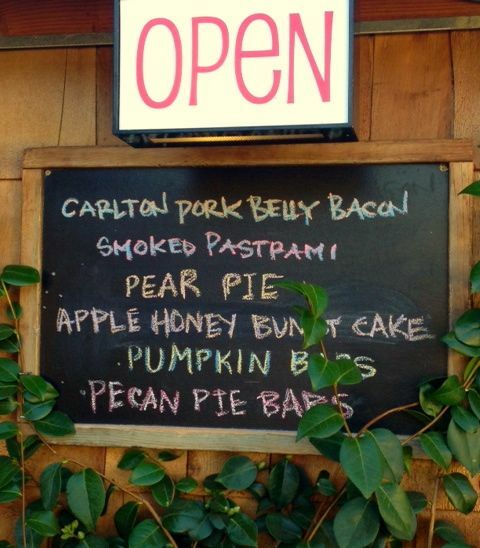 Also anything made with Carlton Farms pork is sure to be delicious. I’d have to go for the sample platter too because I’d want to try a bit of everything!